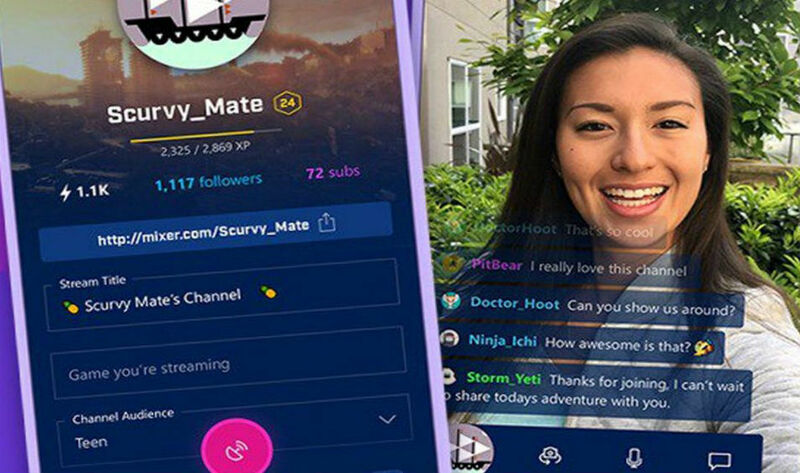 Microsoft recently rebranded one of its game streaming services “Beam”, to “Mixer” allowing users to stream their mobile games. The change is rolled out for both Android and iOS but only in beta version. Apart from the change in the name, Mixer has a lot in stock for the users. There are a handful of self-broadcasting streaming features that allows users establishing the contact to audiences in one go. While the co-streaming has been rolled out for Android and iOS users alike, there are some restrictions for Apple users. Android users can stream any game of their choice, but iOS users will have to select the games that have Apple’s “ReplayKit” functionality enabled. That means games such as Star Trek, Goat Simulator, Into The Dead can only be streamed by the users. Mixer allows four gamers to combine their streaming as a single broadcast. Additionally, the users can send the invitation to others through a message that will pop-up on their screen. The users on the other end may accept or reject the invitation. Apart from streaming purposes, gamers can use the app for interacting with viewers through a chat interface, Microsoft quoted. Additionally, the co-streaming will allow the users to connect with PC or Xbox in a single streaming for the viewers. Microsoft has launched the update on its live streaming app shortly after its rival Twitch debuted a similar functioning application in the market. The app includes similar services of live streaming from mobile channels. Twitch is continually working to expand the present functionalities of its app beyond gaming in order to achieve more prominence than Microsoft applications. Twitch has it in its plan to allow users to broadcast the content, along with other artistic details that are yet to be disclosed by the world’s leading video platform community. PREVIOUS Android P(Android 9.O): Has Google Started Working On The Next Version?